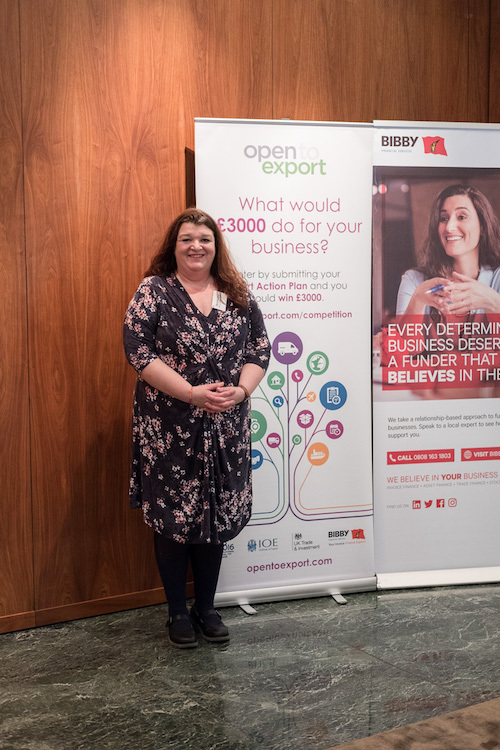 In the latest of our exporter case studies following the recent Export Action Plan competition final, we talk to runners up and returning finalists Special iApps. What do Special iApps do? Special iApps create educational apps for children with special educational needs, including children with autism, Down’s syndrome, cerebral palsy, hearing impairments and other children who don’t have a diagnosis but are struggling and need some extra support. Where are you at the moment with your exports? When we started trading in 2011 we went global initially. Our first app ‘Special Words’ was launched with 8 languages and our first sale was in New Zealand and we’ve continued to sell it abroad like that. Looking back at the data since we’ve been trading, we always have the same ratio whereby around 70% of what we sell is actually outside the UK. In terms of the Export Action Plan, as a repeat finalist, how was it coming back to it 2 years on from your first entry? After the first competition we were looking at how we could actually grow and we were looking for funding and where we could get it. The barriers are always funding. It’s not just the knowledge that you need, but you need the money to fund things. We hadn’t looked at the plan for quite a long time but once we got funding we looked at our governance which is the foundations and then we looked at our export strategy again. So the tool we found incredibly useful again. It was interesting to see where we were last time. Our core values remained the same and were all written down in there so that remained unchanged; we had changed our legal structure so there will little tweaks to make to update. But we looked at what we’d set out as our export goals last time to see if we’d met them or if we hadn’t met them, we knew why we hadn’t met them. It was very interesting to see how much progress we’d made since the last time. It was a lot easier to go in the second time and update it. We’ve actually drawn up our plans using the tool and we’ve got some work to do to thinking about strategically what we need to do to go forward and we will then look at it again, but it’s a working document so it’s good to look at where you’ve been in the past in order to work out what next steps are – what the barriers are to each country and what you need to do to overcome them. In terms of Brexit – what potential impact is there for your business and how are you looking at it? I don’t know how it’s going to impact us. We keep abreast and listen to the news about what’s going on. Interestingly enough we’ve had no communications with the business links we have in other countries – they’ve never mentioned it. For me personally because we sell through the app stores which are American sites, and also we’ve built trust and respect with our customers over the years for the products we sell and that’s why people buy our products, we just continue to see the sales coming through.